When I first saw a photo of a wisteria vine, I was taken aback. I didn’t know anything about the plant, but I knew I wanted one in my garden someday. 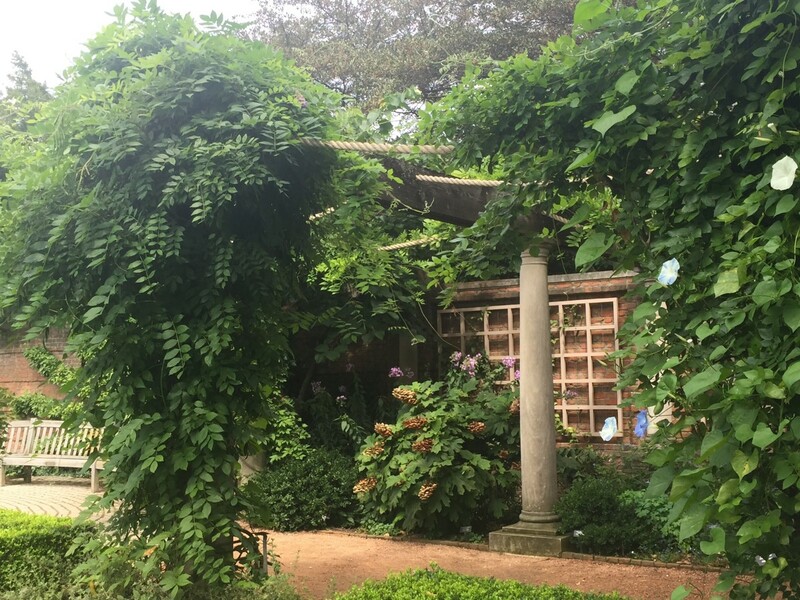 My initial research turned into an obsession—I read every piece of literature I could find about this beautiful (but aggressive) vine, and even drove 70 miles to the Chicago Botanic Garden to see one in person. As I discovered, wisteria is a marvelous vine that, when cared for properly and grown under the right conditions, wows each year with luscious cascades of purple flowers. When not kept in check, it can quickly become a menace in the garden, however. Also, if the wrong variety is grown in the wrong spot, it may never bloom. Below is all the information you’ll need about this coveted vine, its varieties, how to care for it, and if you are interested, in how to grow more of it. 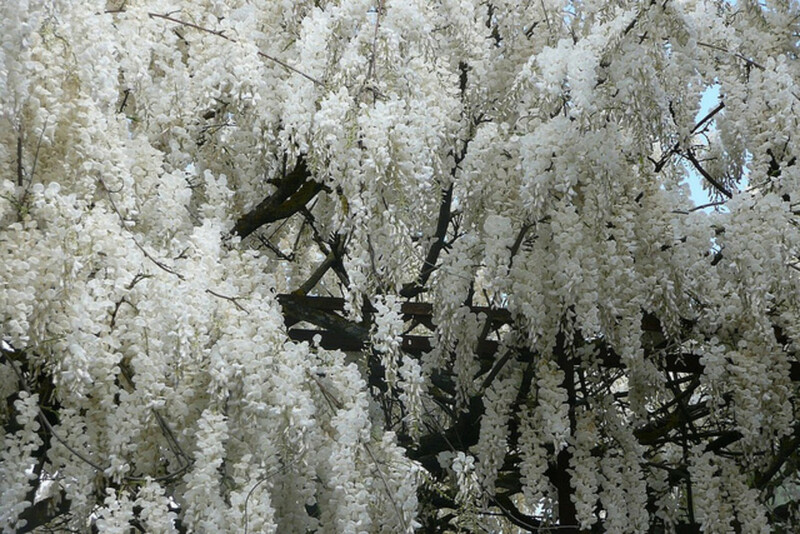 Although there are many varieties, wisteria can be identified by several common characteristics. 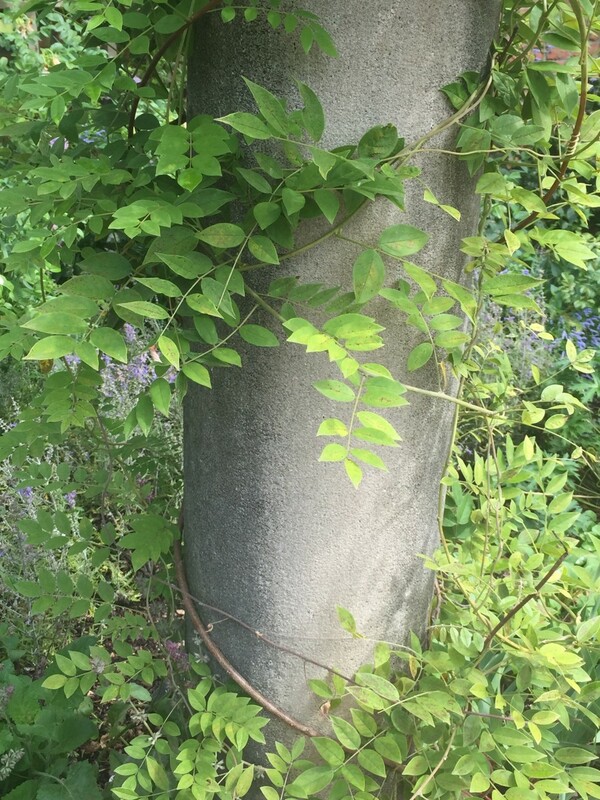 All are climbing vines that grow and attach itself to any nearby supporting structure. Depending on the species, their stems either twirl clockwise or counterclockwise as they climb. Smaller shoots extend from the main vine, and leaves extend alternately in each direction from those stems. Leaves are 15 to 35 centimeters long, and are feather shaped, much like those of a fern. At the tip of each shoot is a feather shaped leaf running perpendicular to the other leaves on the stem. They are dark green in color. Wisteria vines grow upward from a central stem, and have been trained into tree (standard) form, but do best as a climber. Some varieties grow to up to 30 feet long. In the first few years after being planted (assuming you’re planting a wine produced from a cutting, not from seed), it should grow slowly, but once the vine has been in its permanent location for a few years, it will grow very aggressively and will need pruned frequently to make sure it doesn’t take over nearby structures or trees. Depending on the species, flowers hang in cascades ranging from 10 to 80 centimeters long. Asian varieties bloom in earlier spring on old growth when foliage is not yet fully developed, while American varieties bloom on new growth (since frost) when foliage is already present. This makes Asian varieties' blooms more showy and noticeable than American ones. 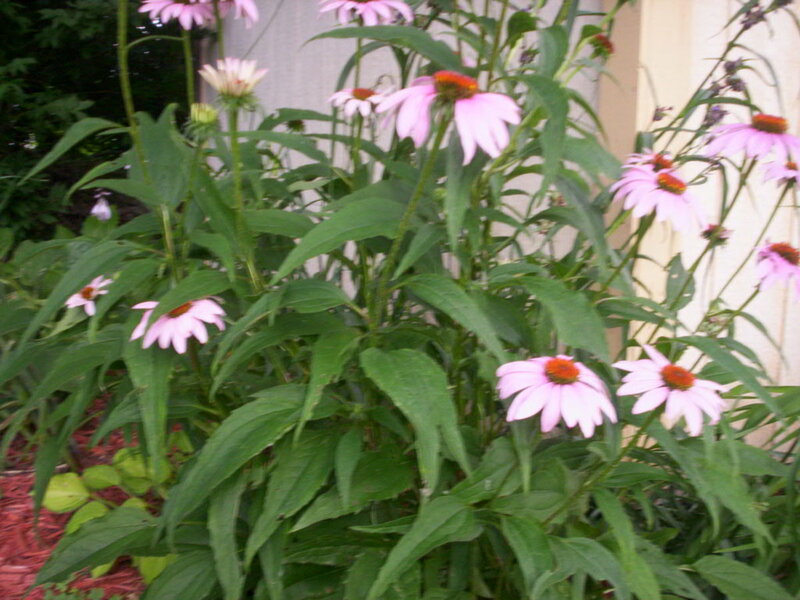 Flowers can be can be lavender, pink, white, or fuchsia colored. The most widely known hue is lavender. The wisteria vine and its luxurious flowers has been known in Asia for centuries, but because of trade restrictions, was not introduced into Europe or the Americas until the 1800’s. At first, only seeds were brought over, and vines grown from seeds can take up to 20 years to bloom. Western botanists and gardeners, therefore, had to wait quite a while to be able to see one in all its beauty in their homelands. 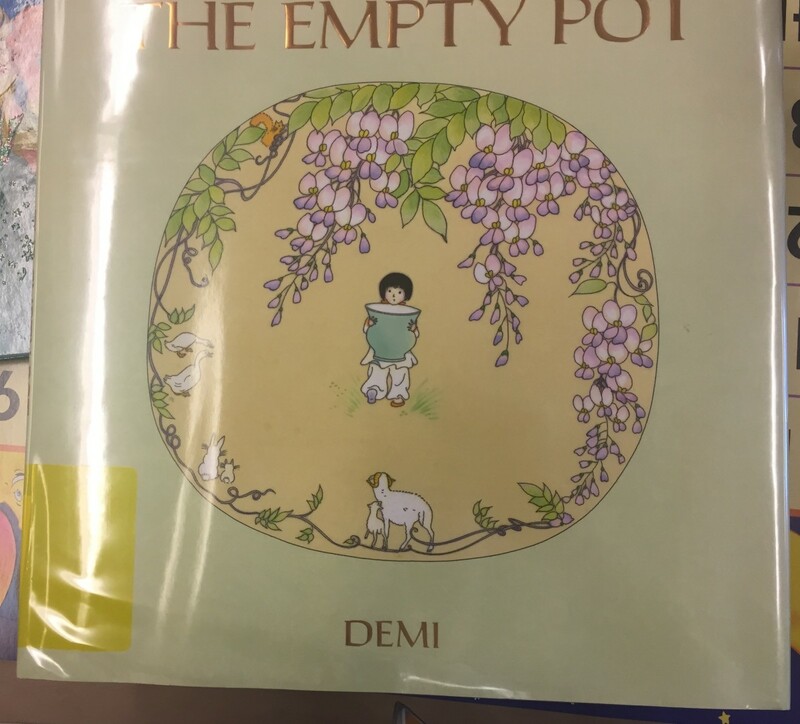 Also, since wisteria (and many other plants) grown from seed may be hybrid offspring, the results were often unpredictable, and did not always have the same characteristics of parent plants in Asia where the seeds came from. Eventually, Westerners returned to Asia to obtain cuttings from vines they coveted, and were able to grow identical vines from those. Today, vines available for sale that are more likely to bloom earlier and have desirable characteristics are those that can be traced back to those cuttings. 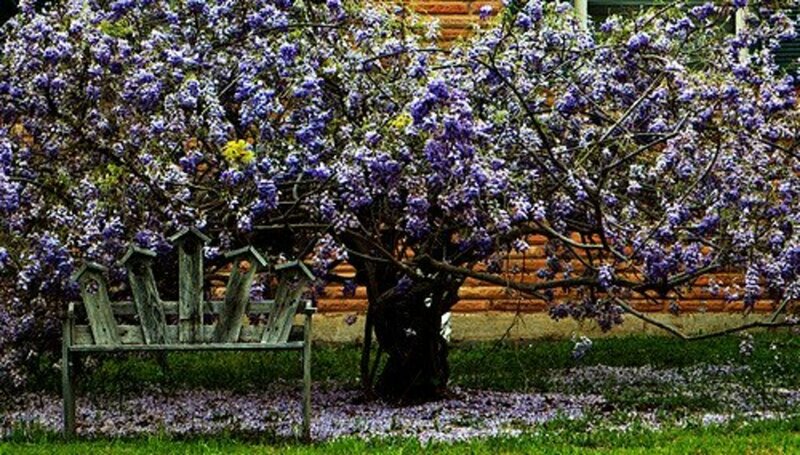 These reliable plants usually will have copyrighted names like “Texas Purple.” Vines that are grown from seeds, and are of an unknown species or hybrid, are usually just labeled as Wisteria Floribunda (Japanese wisteria) or Wisteria Sinensis (Chinese wisteria) with no coined name after it. These are less predictable, and likely stem from plants grown from those first seeds. It is better to buy a variety of a known cultivar. The vine got its name in the early 19th century when botanist Thomas Nuttall named it after the famous physician Dr. Caspar Wistar. The vine had early success in England. 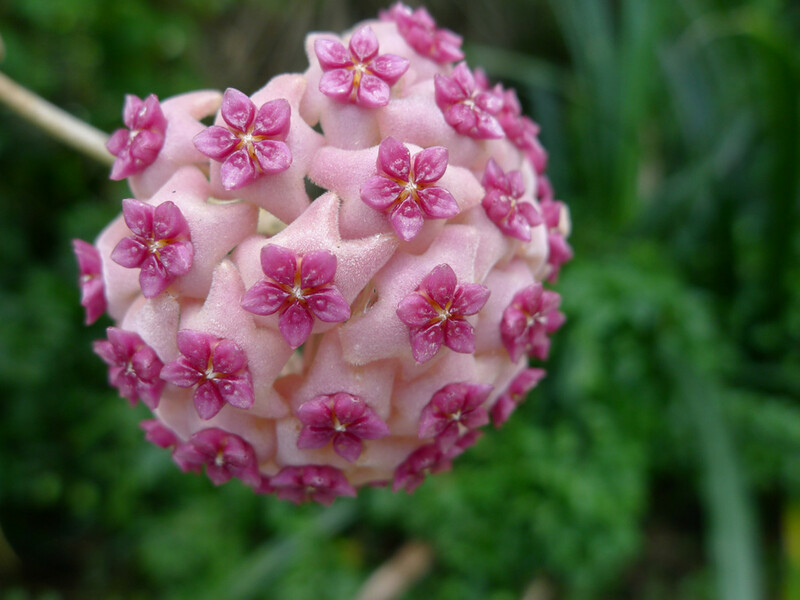 It is popular in the southern United States, where it is more likely to bloom each year because of the warmer climate. 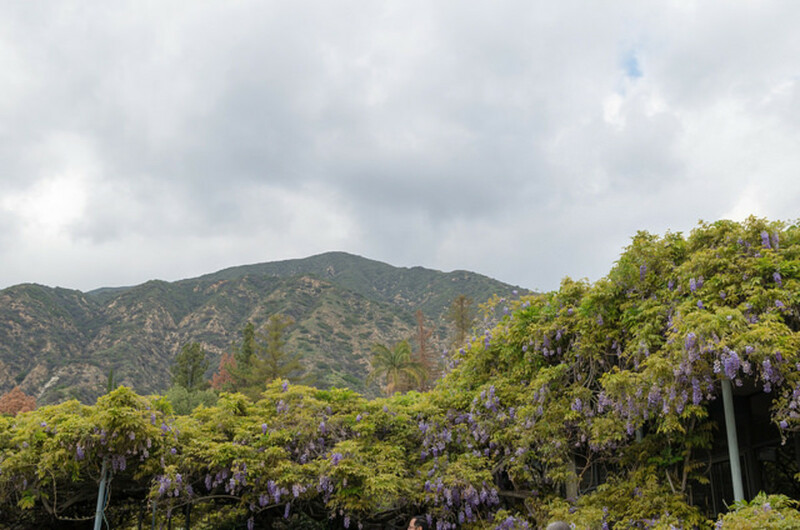 Although wisteria stems from Asia and came first through Europe, the largest in the world is in the United States in Sierra Madre, California. The Wisteria Festival is held there each year to pay homage to the vine. 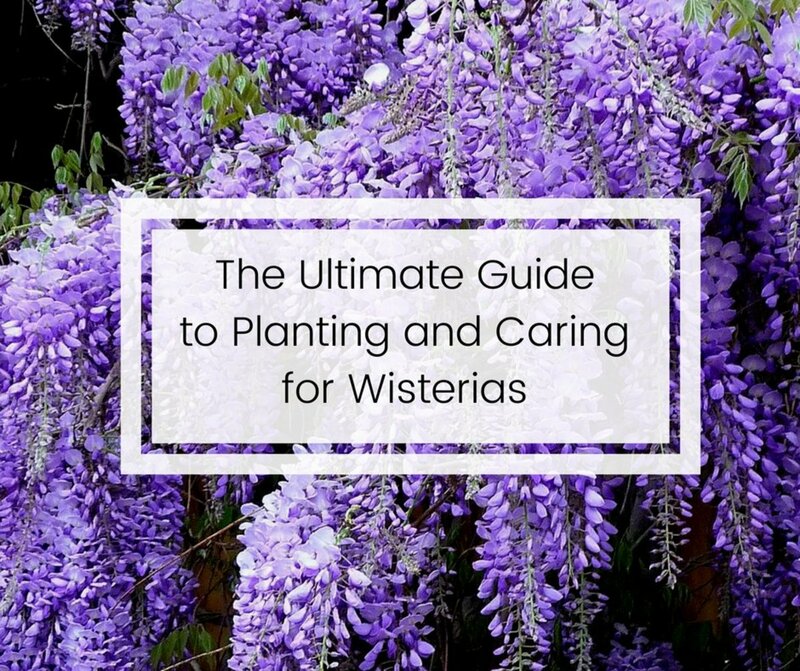 Although many gardeners on many continents love and grow wisteria, it is considered an invasive species in many parts of the United States, especially the fast-spreading Asian varieties. 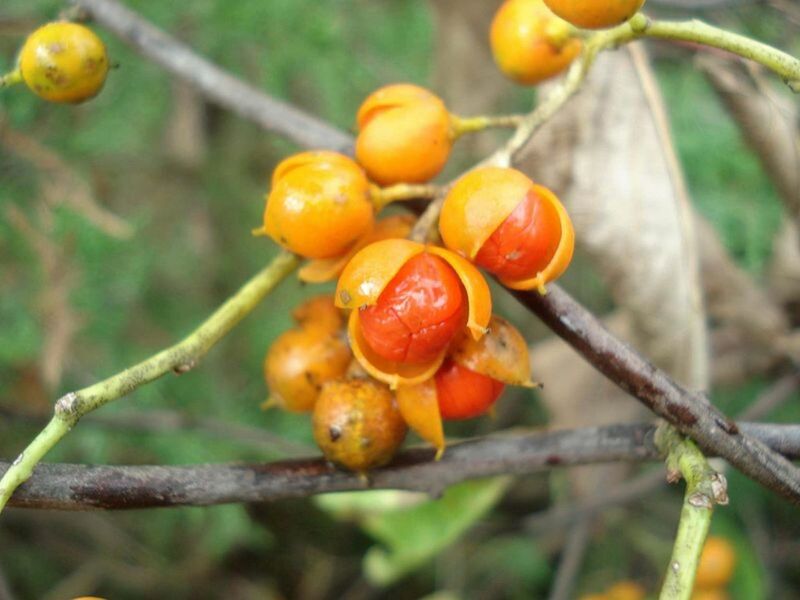 It is very woody and strong, and can wrap around a tree trunk and destroy the tree. They can also take down man-made structures like street lights, porches, or even walls of buildings if not kept in check. For these reasons, some gardeners choose to grow the non-invasive American varieties of the plant. As mentioned previously, these are the most beautiful when in bloom, but also the fastest growing and potentially threatening to other plants and structures. Japanese and Chinese wisteria are almost identical, except Japanese vines twirl clockwise and Chinese vines twirl counter-clockwise around a supporting structure. These vines have the longest clusters of flowers of any wisteria, sometimes up to 18 inches long. 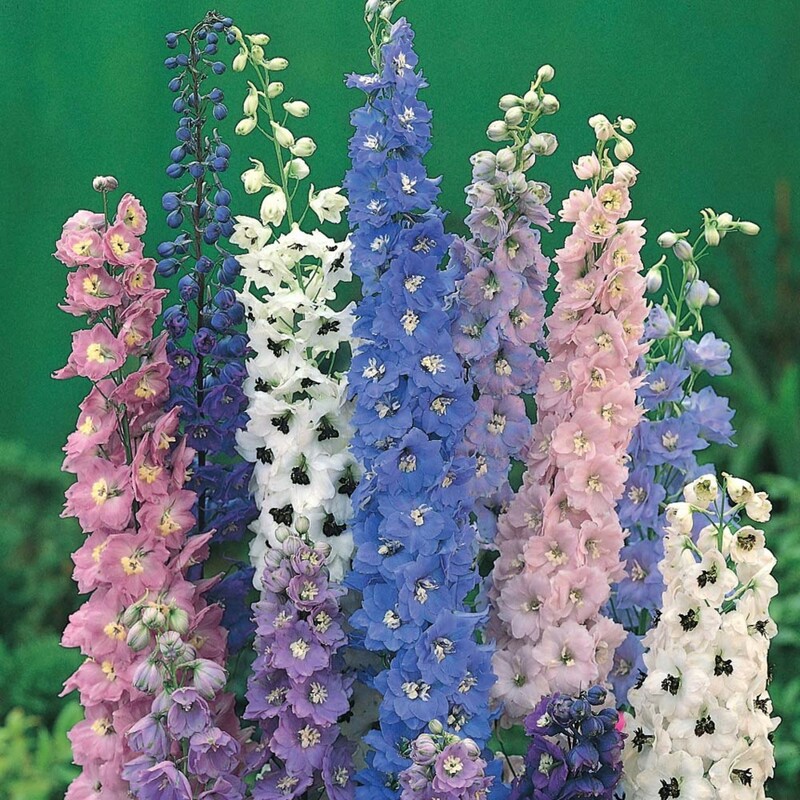 Blooms are usually violet colored, but can be white, purple, pink, or blue also. The flower pendulums hang downward, and blooms open first at the top of the cluster, making their way down. Japanese and Chinese types are usually hardy in zones 5-9, but are known to do much better in the warmer zones. Many gardeners who keep these varieties in zone 5 or 6 are often disappointed each year because they have a lot of bushy, aggressive foliage, but no blooms. This is because these types flower on the previous year’s wood, and buds form before frost—but harsh winters often kill buds before they ever have a chance to flower in the spring. When these do bloom, they bloom in late April to mid-May, before a lot of the foliage has grown. Also, some hybrids between Japanese and Chinese wisteria exist, such as Wisteria Formosa. 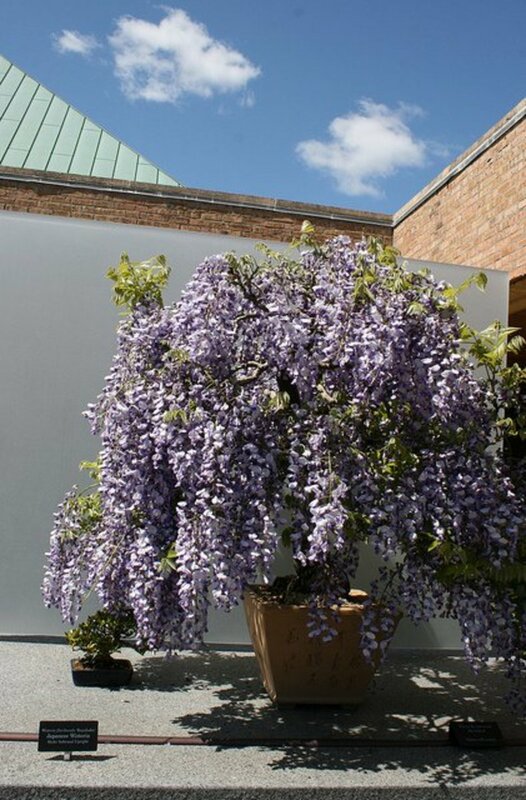 These are an increasingly popular choice for more northern gardeners who really want a wisteria vine, but are not able to get an Asian variety to bloom. They are also ideal for those who are conscious of the fact that Asian wisterias are often invasive, and who would like to prevent the spread of unwanted vegetation. Some American varieties are hardy to zone 4 or lower, and are known to grow and bloom even in Minnesota. Even though American wisteria is easier to grow in a larger range of U.S. climates, it is not quite as showy as its Asian counterparts. The blooms will arrive later, on new growth (after frost), after foliage is already set. Also, flower cascades are not as long as those on Asian varieties, and resemble more the pointy blooms of butterfly bushes or lilacs than the draping blooms usually synonymous with the plant. Still, it can be beautiful if grown over a pergola or trellis in such a way that the blooms are encouraged to hand down. If grown in the right conditions, wisterias will grow quickly, and once they are mature, bloom like crazy even if you don’t do anything to it. If planted in the wrong conditions, it will probably survive, but may not bloom. Keep the following in mind when planting and choosing a wisteria vine. Like many perennials, wisteria can be planted either in the spring or the fall. During these seasons, the heat won’t be as likely to shock the plant, and the ground is sufficiently soft for it to spread its roots. Spring is ideal—this gives the vine time to become established in its new home. Fall is the second-best option, as long as the vine is planted at least 8 weeks before frost. Almost all types claim to be hardy through zone 5, and the American varieties sometimes to zone 4. 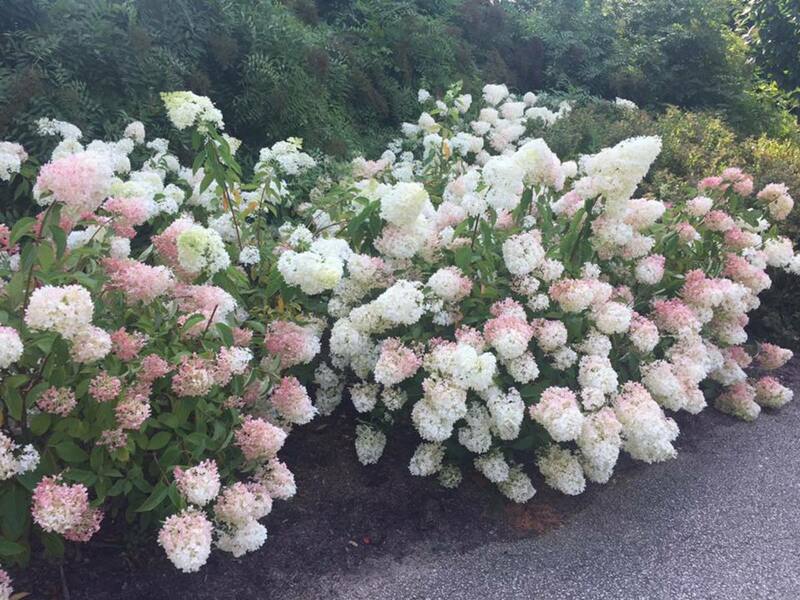 If Asian varieties are grown north of zone 6 or 7, however, they may need extra winter care in order to bloom, as harsh temperatures can kill the growing flower buds. 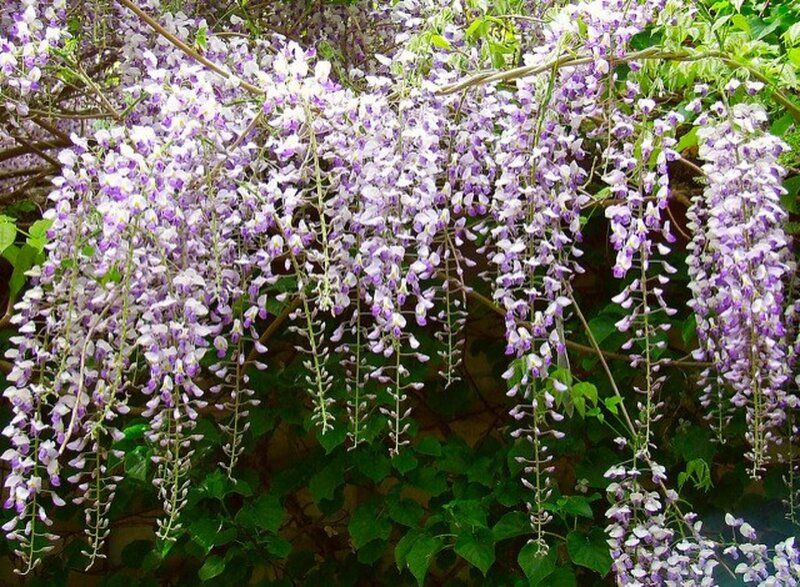 If you want to grow luscious cascading Asian varieties, you will have better luck in the southern U.S.
Wisteria needs a lot of sun in order to flower. Plant it somewhere where it will get at least 6 hours of sun each day. Unless it will be grown as a standard (tree form), it also will need a strong, heavy support to grow on—it can spread up to 30 feet or more in all directions! If grown as a standard, it will need a T-shaped copper or metal support. If kept as a vine, it needs a big wooden pergola, arbor, or trellis. Do not grow on the side of buildings unless you make sure vines stay at least 4 inches away from the building itself, and are not close to power lines, lights, etc. that it could crush. Plant at the base of its support, and as it grows, use twine, clips, or similar hardware to train it in the direction you want it to grow. Once it gets going, it will continue to twirl around the support without help. Wisteria is not picky about soil. It even will do well in poor soil, as can be seen in the fact that in many areas it is an invasive species. Do not use nitrogen fertilizer, as this will discourage blooming. Make sure soil drains well. Wisteria vines should be watered regularly for the first few weeks after they are planted. 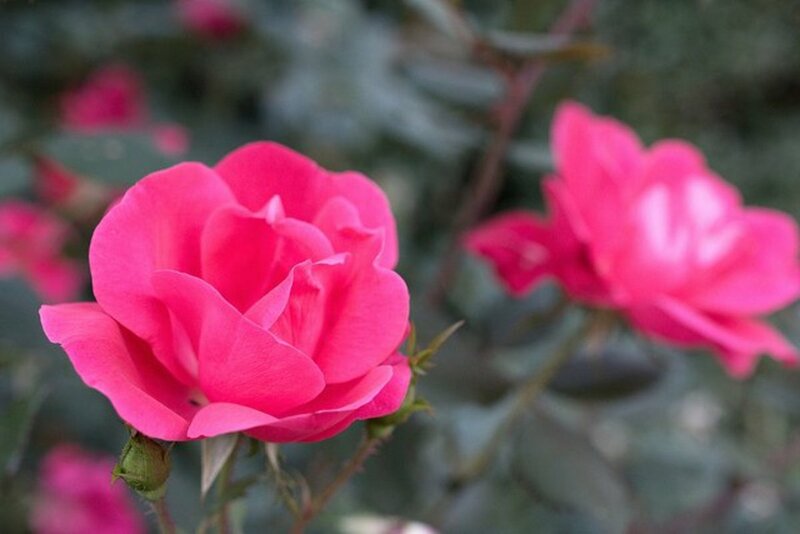 For their first season, you should regularly water them if they don’t receive a lot of rainfall. After they are mature and established, you won’t need to water them unless your area is going through a drought. Vines should be pruned in winter, shortly before spring. You should cut off at least 50 percent of growth from the prior season, leaving at least a few buds on each stem. In many cases, wisteria will do fine over the winter even if nothing is done to it. Its hard, woody vines and growth make look a little unsightly during the winter months after it loses its leaves, but it will come back vigorously in the spring. In northern climates, if you are worried that the harsh cold may prevent blooming, you can cover the base of the plant around the main trunk with mulch, and can wrap vines in a material such as burlap to protect newly forming flower buds. Factors that affect poor or no blooming are mainly winter dieback and incorrect soil makeup. If buds die in cold temperatures, the wine will likely come back next year, but with only green foliage, and no flowers. Likewise, if soil is heavy with nitrogen, this will encourage greenery but not blooms. 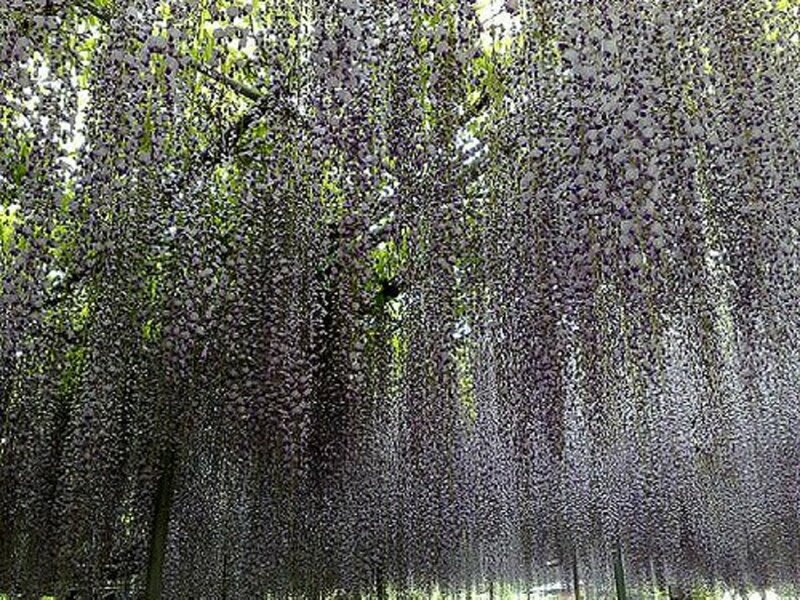 Many wisteria don’t bloom until after 20 years. This is disappointing, and some people don’t find out until they’ve planted their vine and have patiently waited for a few years. The only way around this factor is to wait, unfortunately. In the meantime, be sure to give wisteria conditions it likes, i.e. lots of sun and soil that that is not too high in nitrogen. For mature vines that should be flowering, pruning can encourage more flowering. Also, sticking a shovel a foot down or so near the base of the main trunk, and damaging some of the roots, can also encourage blooms the next year. (This won’t kill the plat—it’s very hard to kill wisteria. It will just encourage more “reproductive” or flowering action from the vine). Most of today’s flourishing wisteria vines were grown from cuttings from older plants. To propagate wisteria this way, cuttings are taken from new growth at the end of the growing season. New growth is green and tender, while old growth is brown or gray and woody. Take a cut of the green growth at a 45-degree angle, and dip it into rooting hormone. You can remove the bottom 1/3 of leaves from the cutting. Stick this cutting into a small pot or container of seed starting mix, or a mixture of sand, peat moss, or vermiculite. Plants grown from cuttings will take a few years to bloom, unlike those grown from seed, which could take decades. Less commonly (for home gardeners), this plant is grown through grafting (attaching part of a new cutting to another plant until the two fuse together), or from layering. Layering occurs when a low-growing offshoot of the vine is intentionally covered with soil. It forms roots of its own, and can be cut away from the main plant after about a year and planted somewhere else. This method can also be used to create a fuller looking vine in the same location. Wisteria seeds are not extremely common commercially, but they are sold. They are advised against, however, because they take so long to bloom, and because they may not grow true to their parent plant. If you want to try to grow wisteria seeds from an existing vine, you can take seeds from the ornamental fruit in the fall. Plant immediately in seed starting mix, or refrigerate if you won’t be planting until later on. Bonsais are potted versions of otherwise larger plants. Both deciduous trees, and evergreens like juniper are made into bonsais. They are kept looking like miniature versions of their namesake plant through careful pruning of both the branches and roots. When plants are trained into bonsais, their branches and foliage will be miniature, but their flowers will remain actual size. Because of this, flowering trees or vines are best if they are kept as larger bonsais. Wisterias make beautiful bonsais. In the spring, they will display beautiful racemes of seemingly huge purple flowers compared to their miniature foliage and stems. To start a wisteria bonsai, take a cutting from young growth just like you would for normal propagation. Once it is rooted and begins growing, let the trunk thicken for several months. Once it is thick and growing upward, transfer it to a regular bonsai pot with bonsai specific soil. To get the vine to grow into a little tree, you will need to carefully prune the bottom 2/3 of the main branch. This will encourage the top to produce more lateral growth. Once the plant is established, it will need repotted every few years. Only repot it once its roots completely fill the pot it’s in—if you leave it with too much room to grow, it will focus on growing greenery rather than blooming. When pruning roots, only prune dead roots if possible. Pruning live ones will again encourage more green growth rather than flowering. Wisteria is a beautiful vine that many gardeners dream of having one day. It is the “beauty and the beast” of gardening, however. It is glorious when in bloom, but needs proper attention to make sure it doesn’t take over. It also can become invasive, so some gardeners feel irresponsible growing it as part of their landscaping. If you live in the South and feel you can keep the plant in check, you can go for the showy Asian varieties. If you are concerned about its invasiveness, or live in a more northern part of the country, go with a tamer but less show-stopping American type. Can the Wisteria vine be grown in Florida? It prefers hotter zones, so it should grow in Florida. The leaves of my black dragon wisteria are turning yellow and limp, yet the veins remain dark green. It is in a box that measures 1'x1'x18, and it is about three or four years old. It also gets a lot of sun. What should I do? Is it getting too much water? Also, has the weather been very dry? Those two factors could be the culprit. Can Wisteria macrostachya be grown as a standard?